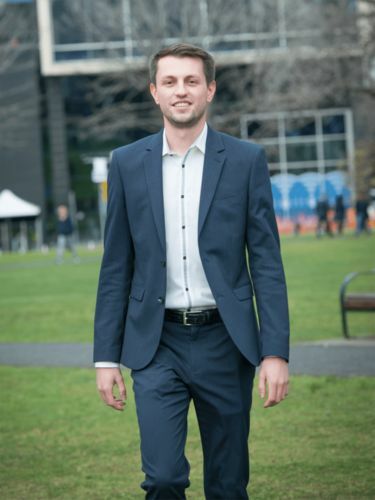 Master of International Relations graduate Dan followed his interest in Asian markets to KPMG, where he now works as a consultant in the Access Asia team. Dan Ginger is a big believer in the value of internships. The KPMG consultant and Master of International Relations alumnus says that working at Asia Link while studying crystallised his career goals. Newly arrived from the UK, it also gave him an instant professional network in Melbourne. "I was there for five months or so, and it just really confirmed for me that researching Asian markets, engaging with Asia - this is the space I want to be in," he says. A particular highlight was contributing to Asia Link's flagship Vietnam 'starter pack' - a guide to the country for Australian organisations. "When you write an essay at university often you get a grade and then that's it. It was great to look at a book and think that I've contributed to something that people will use in a productive way." Ginger has followed his interest in Asian markets to KPMG, where he now works as a consultant in the Access Asia team. So what is it that a consultant does exactly? He says that KPMG works with Australian businesses that might be interested in a market like China, but not know where to begin. The firm advises on everything from strategy through to the nuts and bolts of implementation. "It relates a lot to the stuff I picked up in my degree," Ginger notes, "and a lot of my personal intellectual interests, which is great. "I'm interested in a lot of the consumer demand side of things. How does a consumer in China, in India, differ in what they want in a product from a Brit or Australian? How does culture and society interact with the economic and political side of things?" "I'm able to take a brief and then build out an opinion and an argument based on validated points, through multiple sources," he says. "It's given me the ability to be analytical." Asked for his advice for prospective students, Ginger is firm about one thing: be proactive. "There's always a minimum amount you can do, but just doing the minimum won't get you particularly far," he says. "It's important to do stuff like join a student society or sports club. If you maximise the opportunity of uni, and seek out other opportunities at the same time - that's how you get to where you want to be." Learn more about the Master of International Relations program.